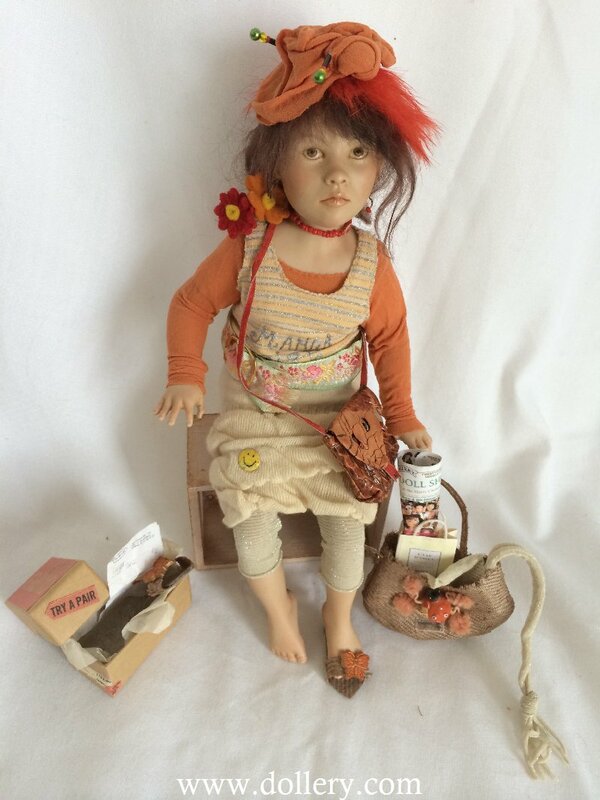 Full body Porcelain, Doll is 10" (25.5cm) with bent knee. 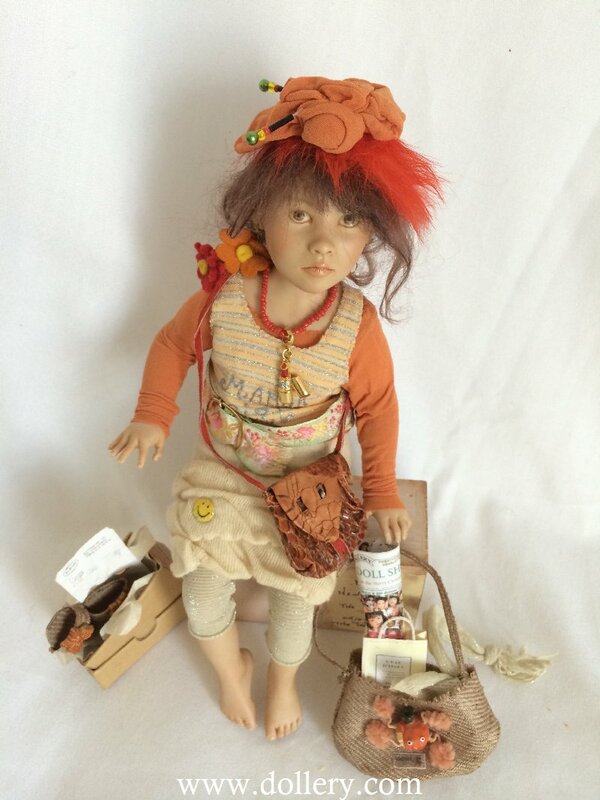 Brown painted eyes, Brown mohair. 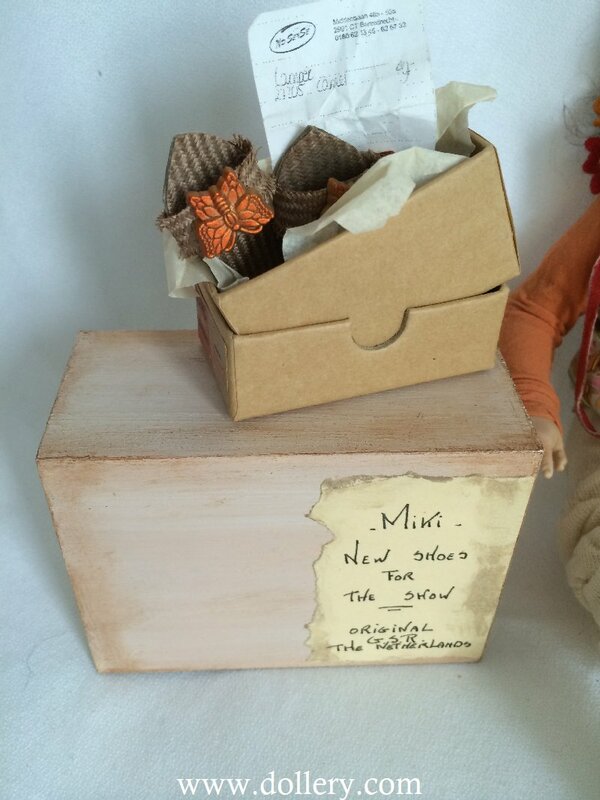 Gerda made this piece especially for our 2003 Show and it includes a miniature copy of our Doll Show Catalog! So many great accessories. 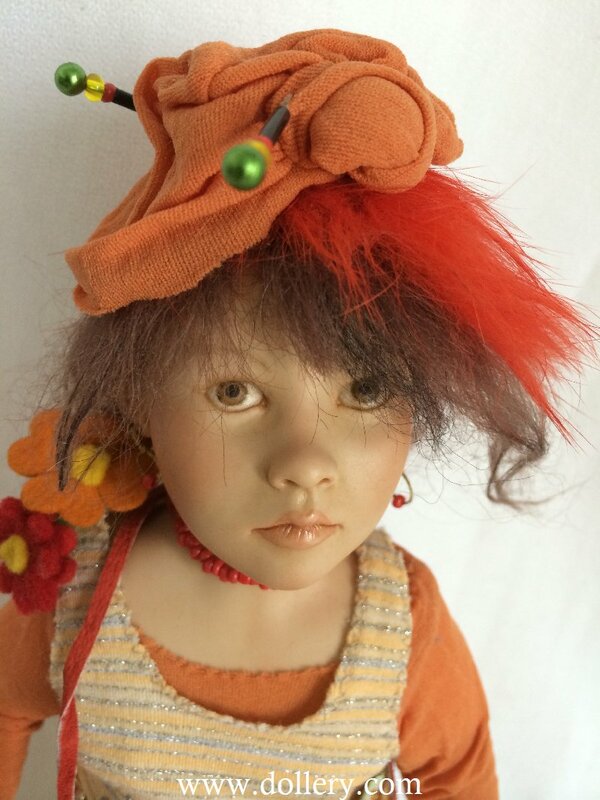 She has a removable cloche type hat with "hat pins." 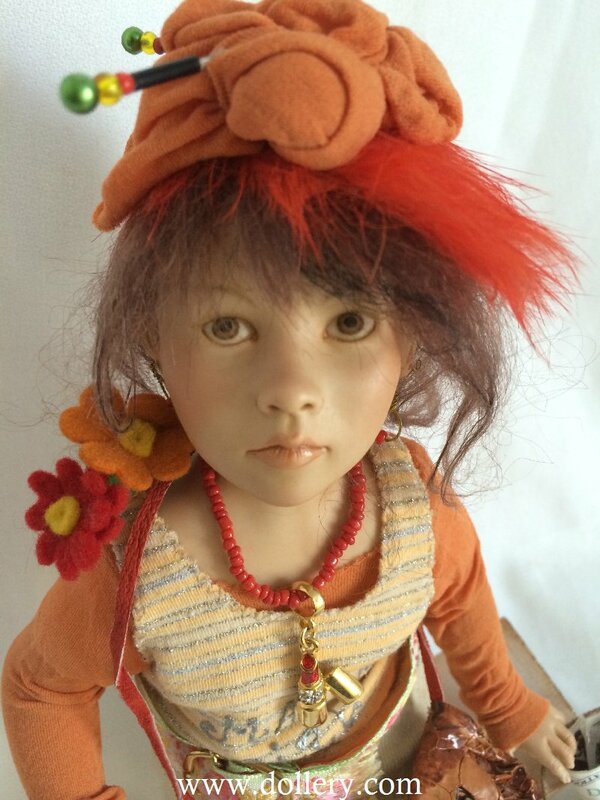 She has red feathers in her hair underneath the hat. She has wire crafted earrings. A little leather cross-body snake skin purse hangs from her shoulder and has felt flowers on the strap at her shoulder. She has a red bead necklace with a "lipstick" charm hanging from it. This charm got turned around to her back in a few of the photos. A little fabric belt is attached to the shirt and skirt. She wears leggings. The clothing does not come off and is all attached to each other. 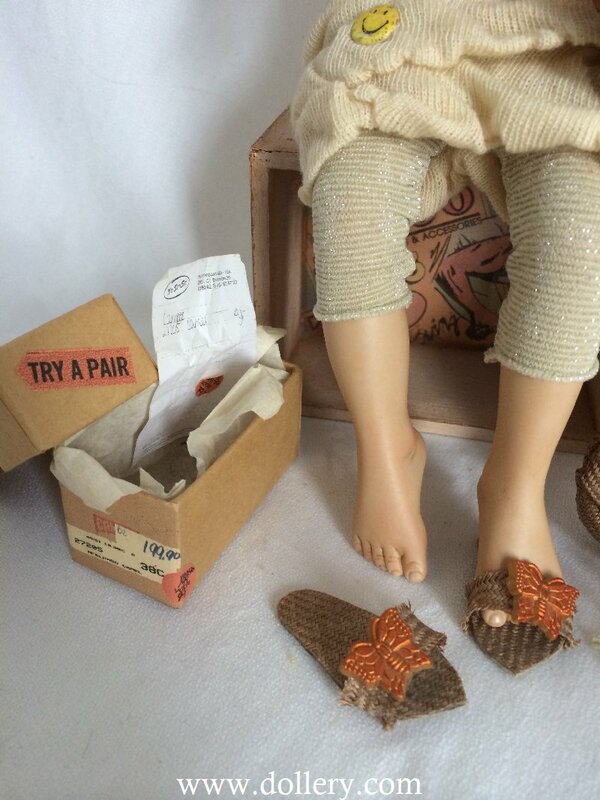 There is a shoe box complete with receipt and removable butterfly sandals. 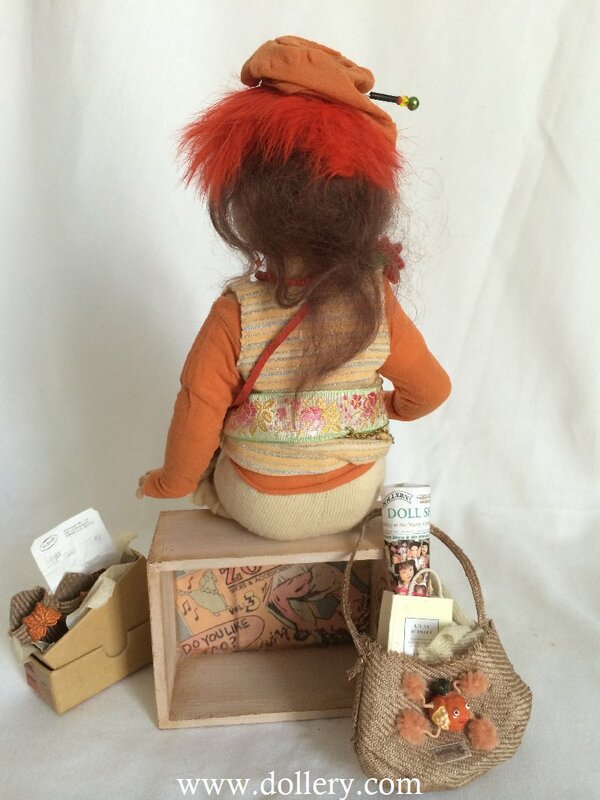 She sits on a little decorated wood box. One side of the box is her "certificate." 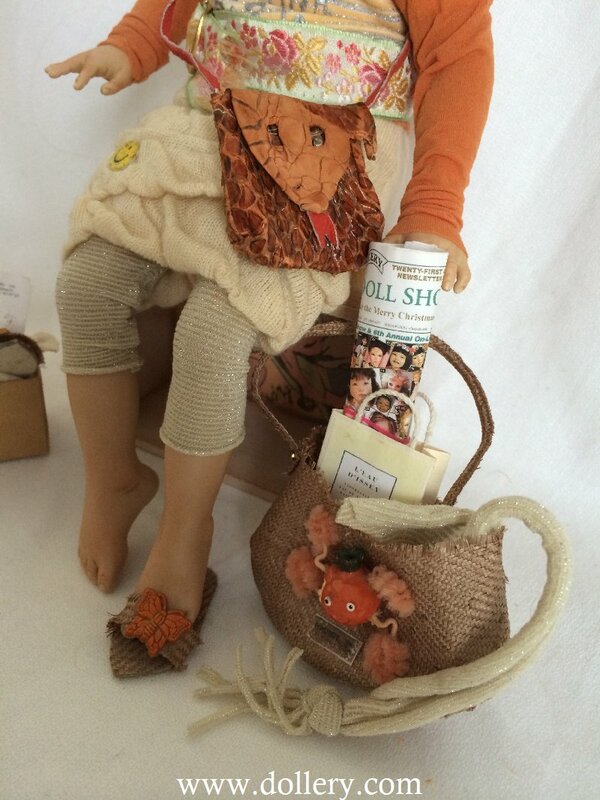 She also has a tote bag filled with a scarf, some fabric and a bag containing the Dollery Catalog from 2003. Everything was hand made by this talented artist. 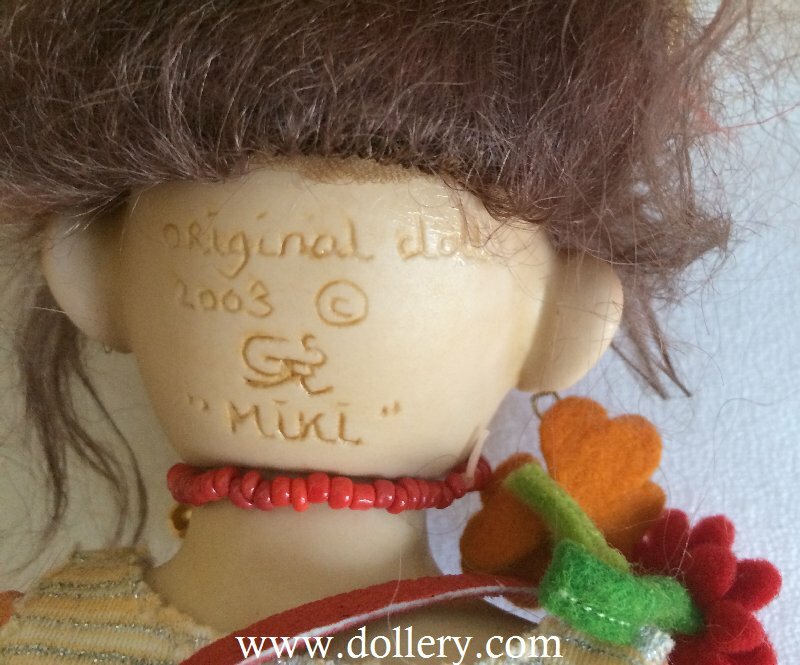 The doll is here at the store and has been given the Dollery Stamp of Approval. Perfect condition. No scratches or cracks in the porcelain. Clothing and accessories are perfect. 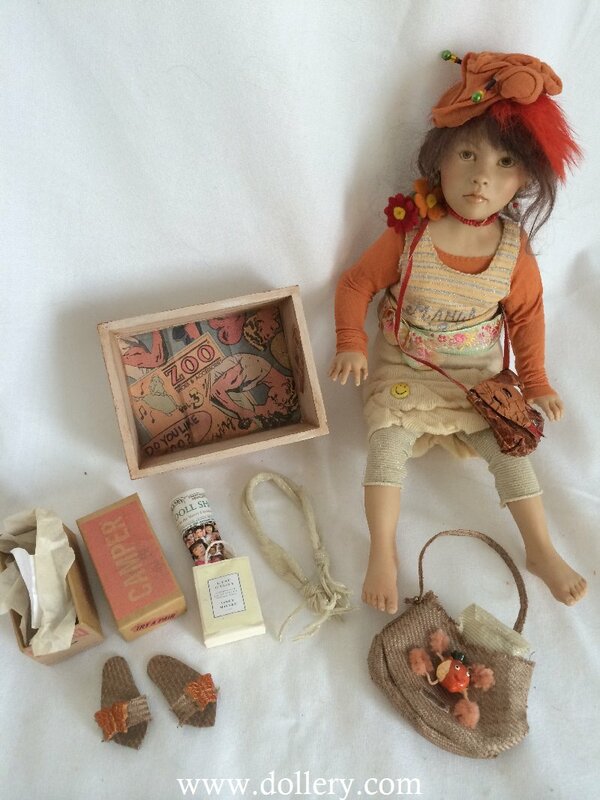 We originally sold this doll to the Owner at the 2003 Dollery Doll Show. She was never displayed. No odd smells. She comes from a Non-smoking household, no pets.